This is what we have all been waiting for! 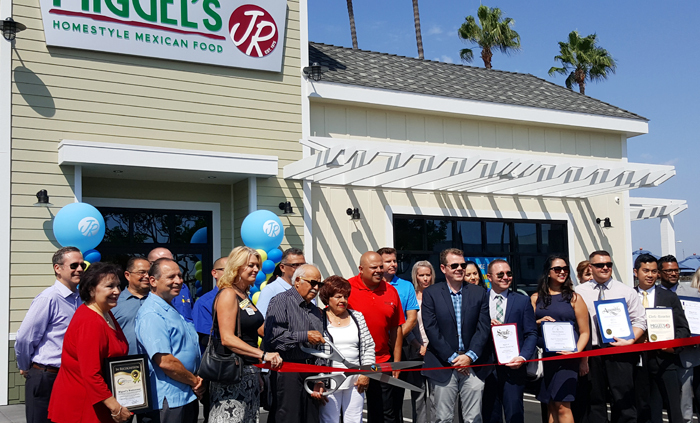 Miguels JR Huntington Beach is NOW OPEN in our very own backyard! 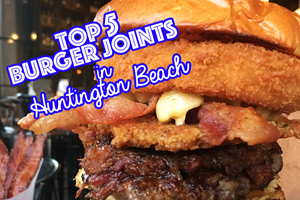 As we learned in our TOP 5 Mexican Food Post, Huntington Beach LOVES their burritos! 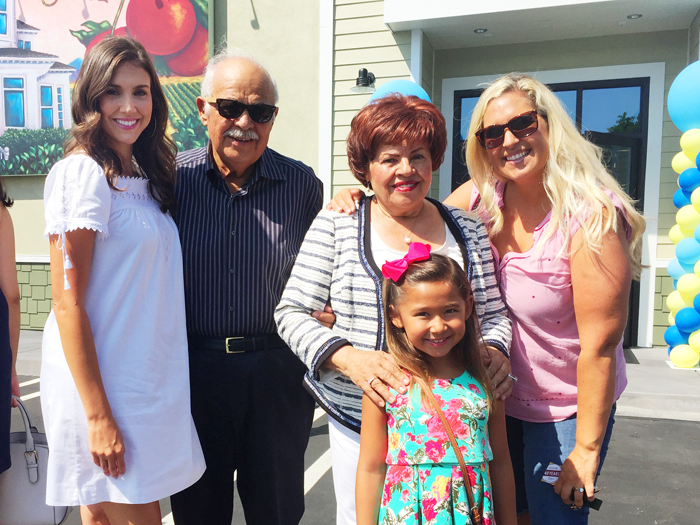 We were invited to attend the grand opening and meet the founders themselves Mike and Mary Vasquez. They hosted a ribbon cutting ceremony and were presented with many awards from the city. We are all thrilled to have them here. Keep reading for info on our Miguels JR. GIVEAWAY! Mike and Mary were so sweet, serving everyone food and chatting with the customers. It was so nice to see this hard working sweet couple enjoying their success. We wish all business owners had such pride and hospitality, it truly made for such a great experience. We have been back several times and Mike and Mary are still there serving and loving everyone. And aren’t they just adorable?.. 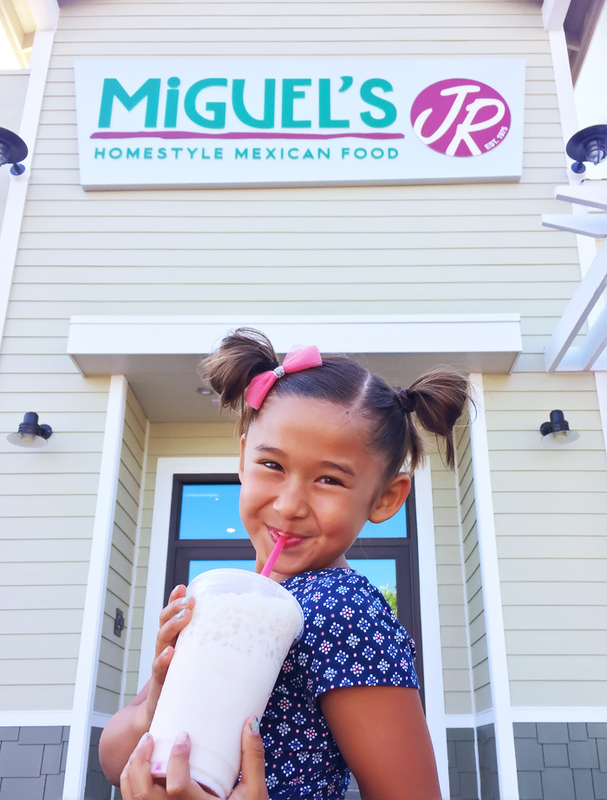 Some of our favorite menu items are The Fresh Homeade Lemonade and Horchata! 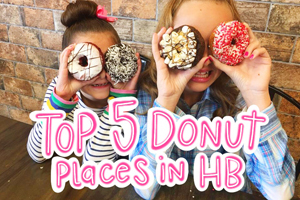 Really, we could just go there for the Horchata everyday. It’s the best! 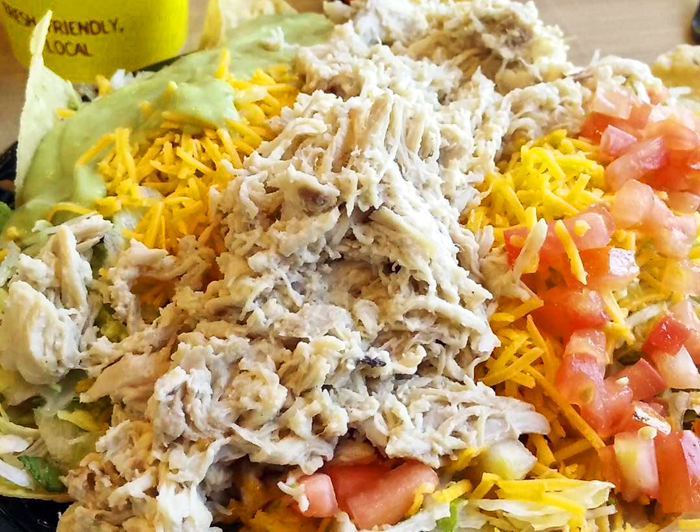 The TOSTADA SALAD is pretty refreshing and delicious. Check this out… And here are our favorite crunchy TAQUITOS! Loving on this guacamole! 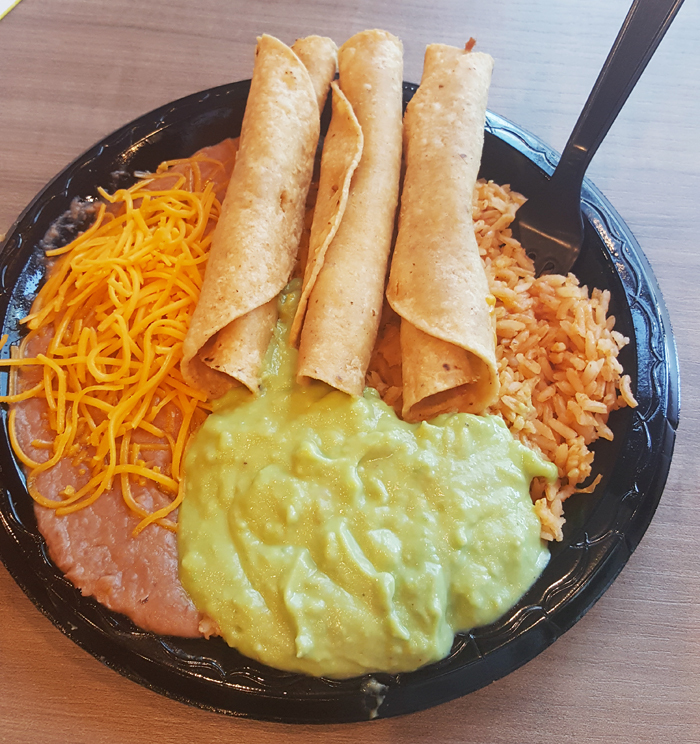 But the most FAMOUS of all is their very own FAMOUS GARBAGE BURRITO! It does not taste like garbage. It so mouth wateringly filling and delicious we keep coming back for more. And we know a few friends that might be eating these for lunch and dinner! 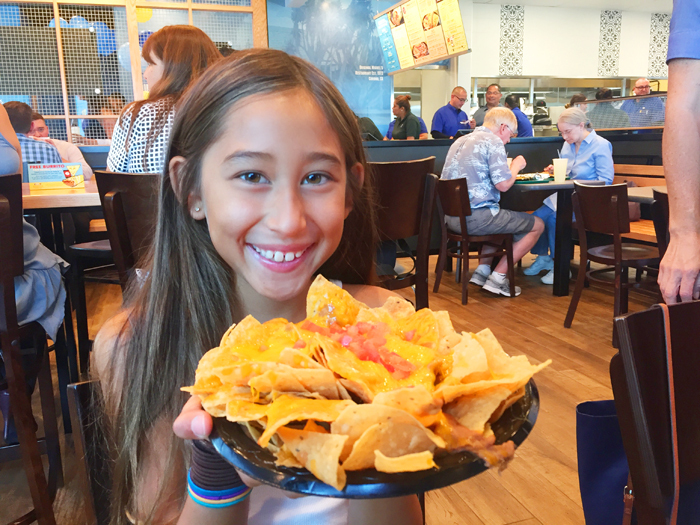 Isn’t sweet Maddy adorable with her cheesy nachos? Her fav! We can’t wait to go back again soon! 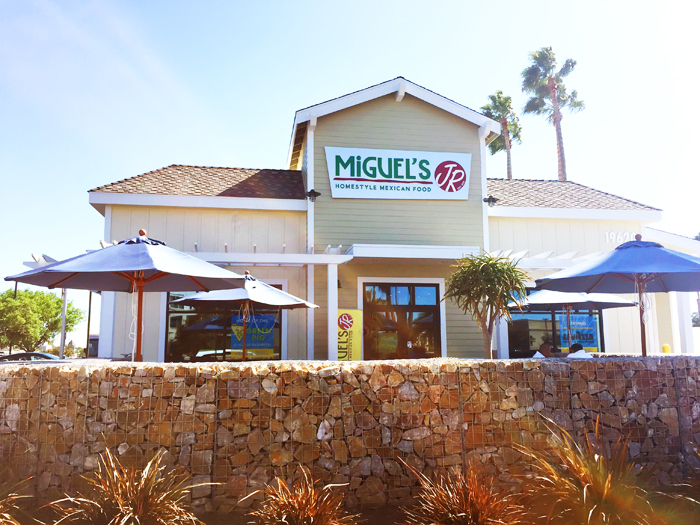 Miguels JR Huntington Beach also has the most delicious breakfast menu which is 50% off Mon-Friday between 7-8 am! Check out the full menu HERE. And if you haven’t been yet go! It’s soooo good! GIVEAWAY TIME! 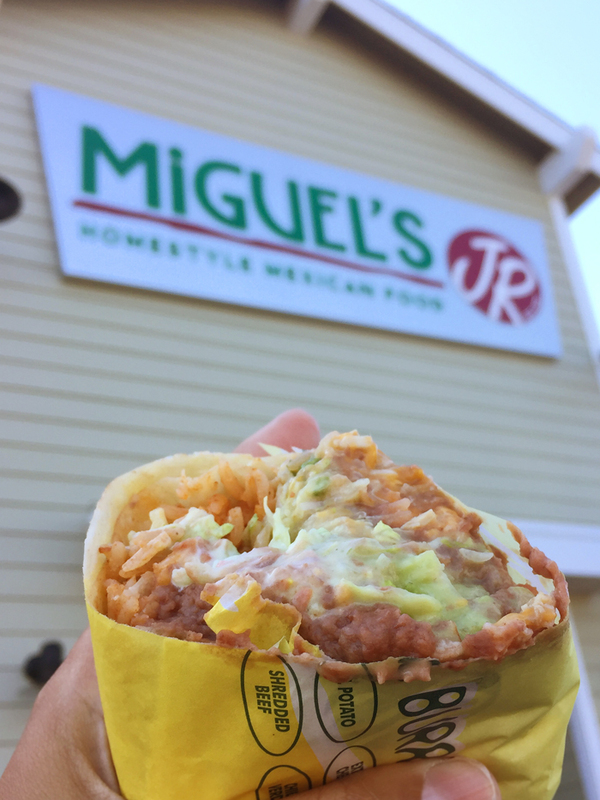 Win $20 to Miguels Jr!!! Click on THIS FACEBOOK POST, click SHARE and TAG your friends to win! Goodluck! « The Habit Burgers Seasonal Hatch Chile Menu, FREE Charburger + GIVEAWAY! Gee, I’ve scrolled down three times and can’t see an address. I can look it up but it would be helpful to make the address more visible . Thank you. Thank you for this! We are updating the post to include the address. Looks delicious! Can’t wait to go!